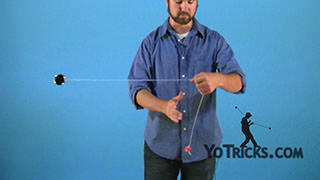 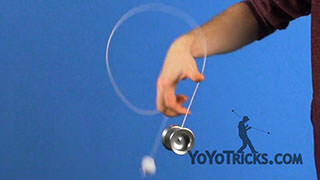 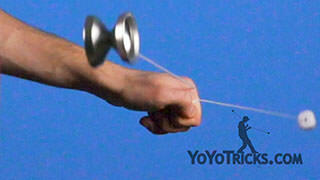 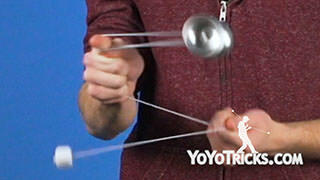 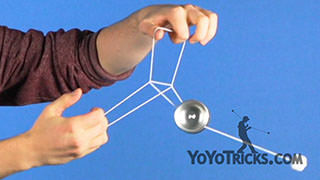 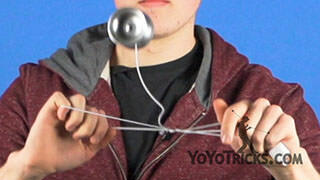 Learn how to do the freehand version of the yoyo trick butterfly. 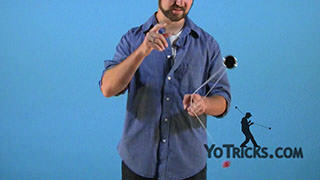 To perform this trick, first we are going to perform a breakaway. 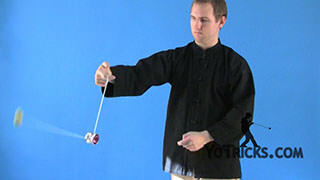 We are going to start doing pinwheels with the yoyo. 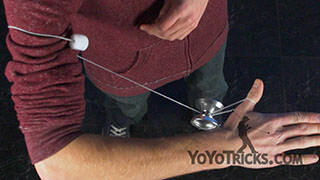 When we are doing these pinwheels, there are a couple of things to keep in mind. 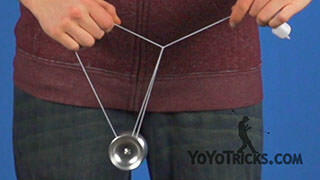 The first is that you want the counterweight string and the yoyo string to be exactly the same length. 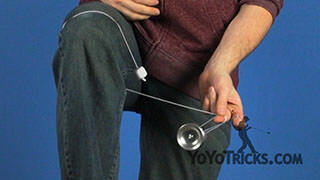 Or, when you are first learning this trick, have the counterweight string just an inch or two longer than the yoyo string, to reduce the chance of collisions. 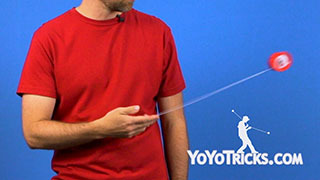 The second thing we need to consider is how we are holding the string in our opposite hand. 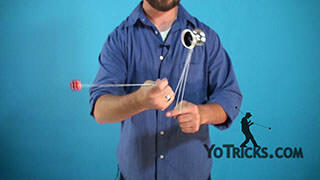 You want the counterweight string pinched between our thumb and our pointer finger. 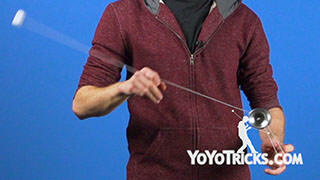 You want the yoyo string pinched between our middle finger and our pointer finger. 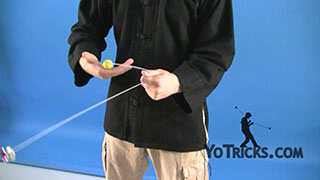 That hold just helps separate the two strings to make controlling the trick much easier. 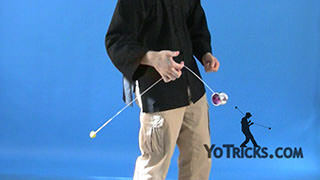 Once we have our pinwheels going, we want to take our throwhand and pull it towards ourself just a little bit, so that when we throw the counterweight up, the yoyo and the counterweight are going to be on different planes. 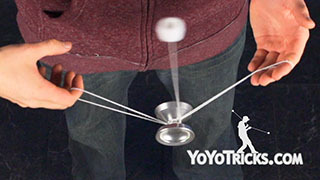 When I am doing this trick, it might look like the yoyo and the counterweight are in exactly the same plane, but the only reason that this trick works is because they are on different planes. 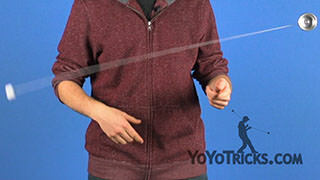 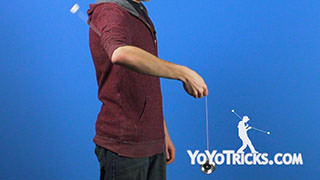 Pull your throwhand in, and then right when the yoyo reaches this point, where the string is parallel to the ground on your opposite side, we want to throw the counterweight up and as the yoyo and the counterweight intersect up top, you want to take your opposite hand wrist and tilt it up. 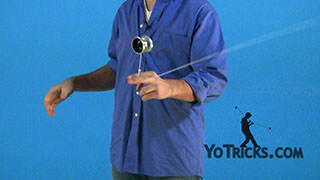 That is what is going to give the counterweight and the yoyo its power. 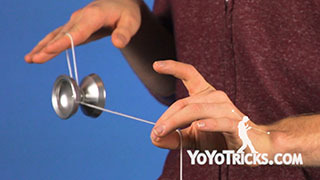 As the yoyo and the counterweight will continue on their arcs, you want to point your wrist down when the yoyo and the counterweight intersect on the bottom. You just want to practice this up and down motion with your wrist so that the trick can go as long as you want it to. 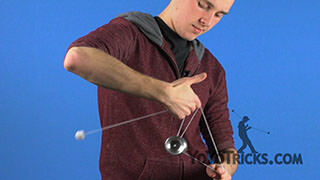 To finish the trick and catch the counterweight, you are going to take your throwhand, hold it palm down, and let the counterweight come up into your palm, catching the counterweight. 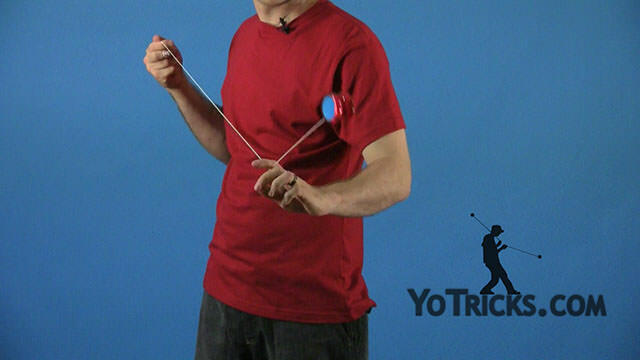 Buttterfly is a pretty difficult trick that relies a lot on muscle memory, so when you are first learning this trick, you might just want to practice one rep and catch the counterweight, working your way up to two, and three, and so on. 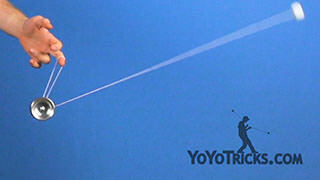 And that is Butterfly.